One of the most common mistakes new drivers of manual cars make is to coast to a stop. This is where the driver places the vehicle in neutral and rolls to a stop. 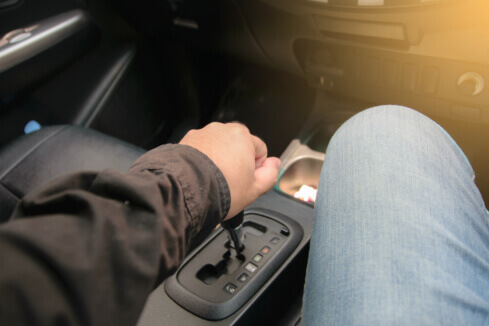 This can be dangerous and risky for you and your passengers as it will cost precious seconds in getting the vehicle back into gear when you need to avoid an unexpected obstacle. When you are coming to a stop, it is much better to go down the gears until you finally stop. This is an important part of traffic safety training in San Juan Capistrano, CA. Riding the clutch means you are pressing the clutch when moving. This can happen for a number of reasons, such as leaving your foot on the pedal. This can cause the clutch to be slightly engaged without you realizing it, which can lead to expensive repairs. It can also cause the pedal to lose pressure, preventing you from getting into gear when you need to. When driving, it is a good practice to ensure your foot remains off the clutch pedal unless you need to change gears. Lugging the engine is when you are first getting the car moving and feathering the clutch, which causes the car to lug forward. This is a problem that every driver of manual cars encountered when learning. However, this can cause premature wear on every component of your drivetrain. In order to prevent this, you will want to rev the vehicle up to around 2000rpm then slowly lift your foot off the clutch until you are moving. Those are just a few of the dos and don’ts of driving a manual vehicle. These cars can be fun to drive and they can open up many opportunities, but make sure you are finding ways to avoid those common mistakes. If you want to find out about our online traffic school and our safe driving school in CA, please get in touch with us at AODD’s Online Traffic School today. This entry was posted in Driving and tagged manual vehicle, safe driving, traffic safety training. Bookmark the permalink.